The Holton Community Hospital Foundation supports the hospital in achieving its goals of compassion, professionalism and excellence in healthcare through philanthropic giving. 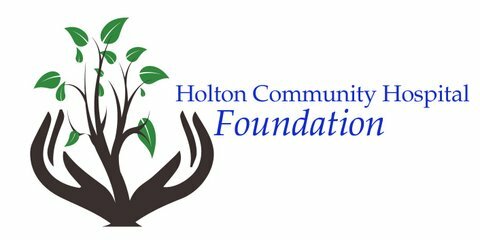 Operating in accordance with the mission of Holton Community Hospital, the Foundation builds lifelong relationships with contributors, raises funds and dedicates its resources to further advance the needs of Holton Community Hospital and those it serves. Gifts to the Holton Community Hospital Foundation help provide enhanced health care services for the entire community. The Foundation greatly appreciates the difference these gifts have made to support the Holton Community Hospital's mission to help provide compassionate, professional, excellent healthcare. For more information, please contact Pam Holaday at (785) 364-9660 or hchfoundation@rhrjc.org. Click on one of the links below for additional information.